Is there a usable gui front-end to git on Linux? I'm a former windows user and just started using ubuntu. On windows, we had two great softwares: TortoiseSVN and TortoiseGit. Both are so good programs that they allow us to do everything like commit, rollback, merge, view history, browse repos, etc. without knowing a SINGLE cli command. 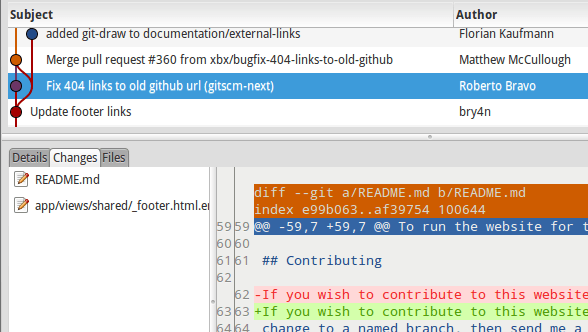 Now on linux, I'm finding it difficult to do memorize git commands for everything. git push and git remote add is fine. But merging is tedious especially conflict-resolution. In TortoiseGit, it is simply a matter of a few right-clicks! I've found some crap like git-gui, etc. but the features are nothing comparable to TortoiseGit. Why isn't there any fully-fledged TortoiseGit port on linux systems? 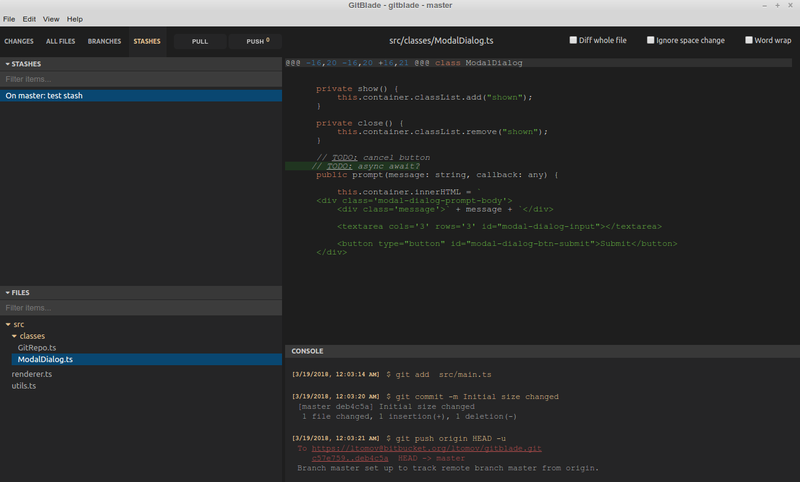 The GIT project maintains a page with all the GUIs available for all platforms both free and commercial. I'd list them all here but it's a pretty extensive list with screenshots and descriptions. From the GIT page there are these options that are free for Linux. 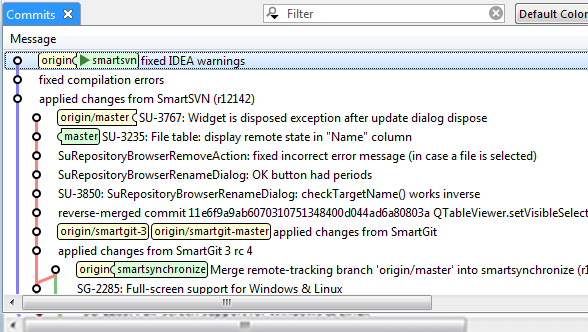 Most of the tested git GUI clients are complete ****, below are 2 of the best and 1 that is not as **** as others. 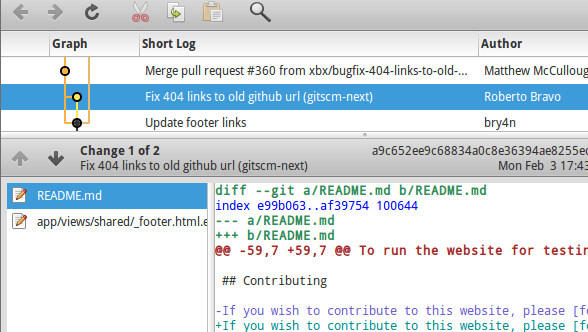 Note: if the Git Files view stops working on you, then use the similar Git Staging view. It's still in its development phases (1.5.1 is still missing HiDPI support), but gets basic work done. 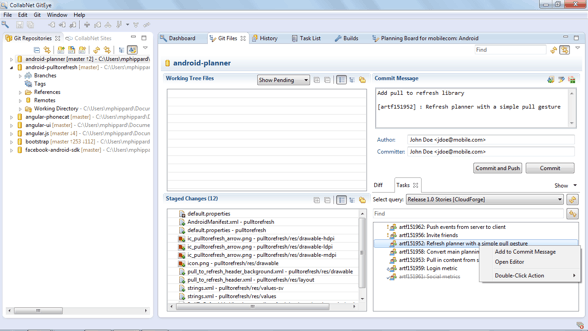 This could easily compete with GitEye and SmartGit. 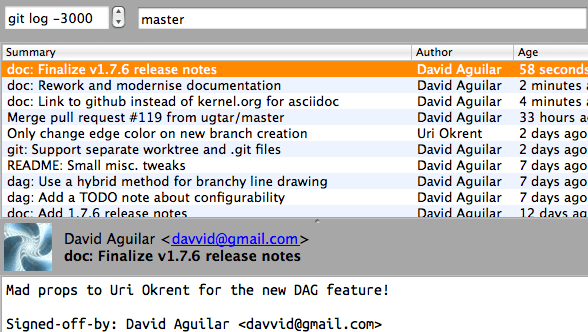 It's better than QGit for sure. I am disappointed by the type of **** made to pass as a git client. I guess their authors think it's more efficient to do everyday simple things on the command line and they have based their clients on that inefficient workflow. I'm on the team that develops GitKraken, so I'm a little biased, but I'd highly recommend you check it out. It works on not only Linux, but also Windows and Mac too and it comes with some other unique features including undo/redo, indexed search and a responsive, intuitive design. It's still in beta as of this writing, but supports most of the basic Git features - preview changes, commit, pull, push, view history, branches. rabbitvcs-nautilus is fully integrated and it's a plugin for nautilus. Not the answer you're looking for? 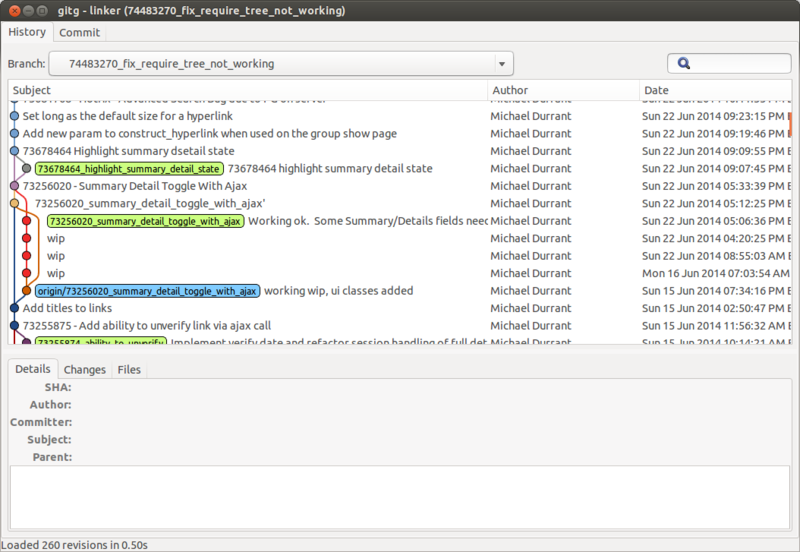 Browse other questions tagged software-rec git gui or ask your own question. Is there a GUI alternative to GParted? Is there any (good) SQLite GUI for Linux? Is there any FileZilla Server alternative (GUI based) in Linux? Is there any remote GUI for ffmpeg? how do I call git commands without 'git ' in front?